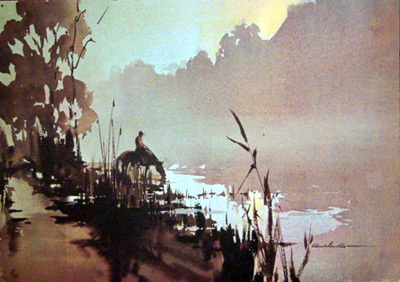 A water colour by Claude Buckle showing a horse and rider in the early morning. A misty early morning scene much favoured by the artist. An atmospheric picture showing true perspective and good balance. This picture was reproduced by Medici print company. Created in 1968.